With over 10,000 doctorates awarded since 1965, The Graduate Center/CUNY fosters advanced graduate education, original research and scholarship, innovative university-wide programs, and acts as a cultural resource for the general public. 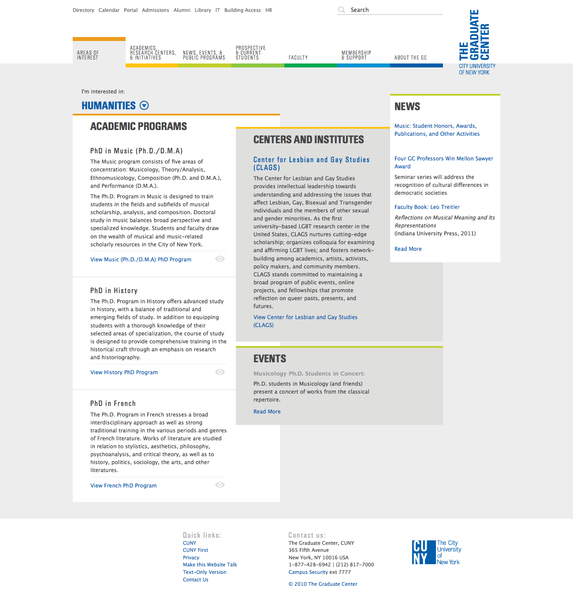 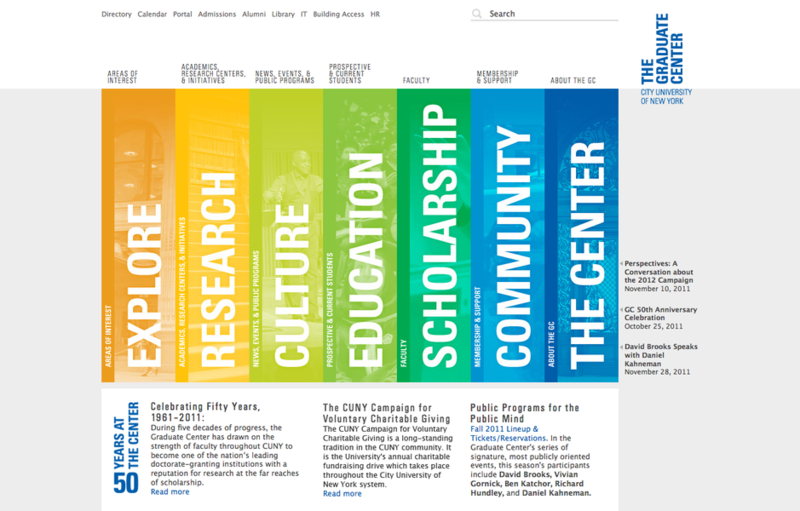 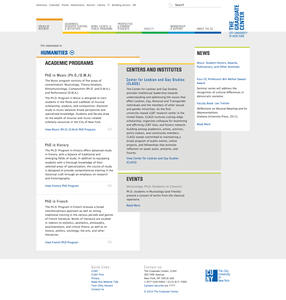 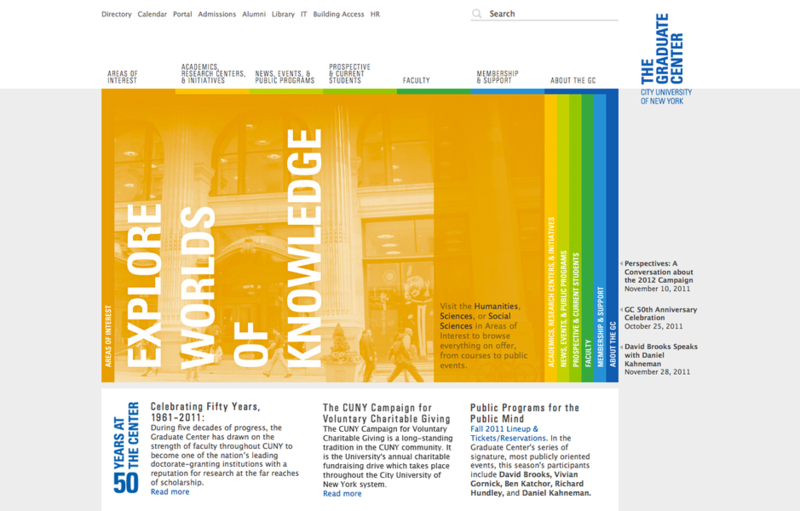 For its 50th Anniversary, the Graduate Center decided update their web presence to include their new identity as well as a reorganization of their online content.The original website was fragmented, comprised of many separate urls with a host of different hands managing the content and various visual styles employed. 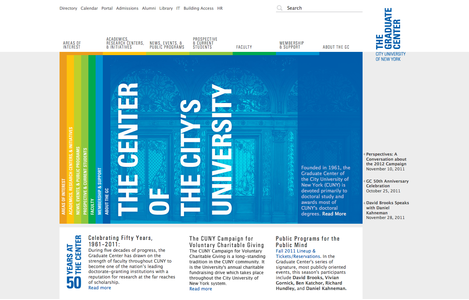 Through a complete information architecture restructuring, CGP provided clear-cut pathways for a monumental amount of information, a user-friendly CMS for continued content update, and a visual design that reflects the dynamic vitality of the Graduate Center, unified with the institution’s new branding.